Use a text box, textarea and submit button. 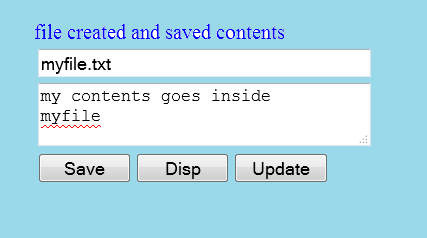 enter your file name with extension in textfield, enter your contents in textarea click on save button to save your data in your created file. using file_exists(“filename”) function first confirm if given file already exists then display an error message files already exists otherwise create a file and write contents.